There are many discussions at the moment, across the UK and beyond, about the potential impact of Brexit. Projections, predictions, and just plain guesses are the order of the day, but at Bulkhead Interactive we've already seen the potential impact of the uncertainty over the UK's future relationship with the European Union. Our story actually starts more than a year ago, when the dust kicked up by the shock result at the Brexit referendum had started to settle. 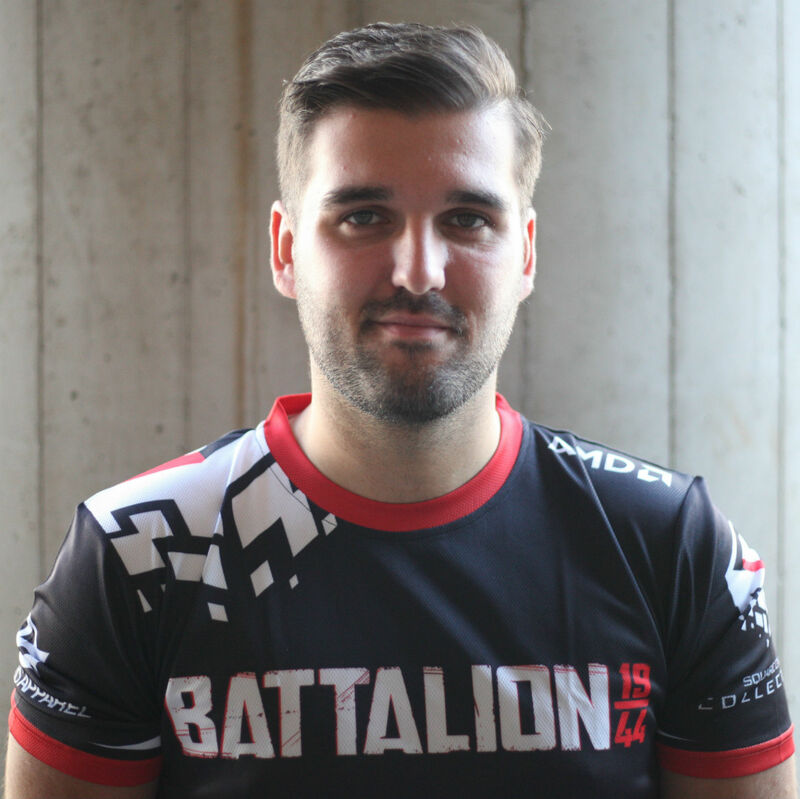 While hiring to expand the team behind Battalion 1944, we noticed that we were receiving fewer job applications from people based in other countries around Europe. "As the UK signalled its withdrawal from Europe, Bulkhead was actually looking to expand its reach beyond British shores"
At the same time as the UK signalled its withdrawal from Europe, so Bulkhead was actually looking to expand its reach beyond British shores. We had already laid down strong roots in Derby, sustaining our growth in the area by scouting and snapping up local talent. We felt the time was right to make our mark in pastures new. As a result, we decided to bring forward our plans to set up a subsidiary team elsewhere, meeting with local government agencies in the likes of Canada, the Netherlands, New Zealand and Germany to see what sort of support would be available. In the end, we settled on Munich in Germany's beautiful Bavaria; an area with high levels of talent, but one that -- to date -- has been relatively untapped or unused by the games business. On top of that, it's worth noting that Games Bavaria, the regional equivalent of a trade body like Ukie, was very happy to welcome us. It was the perfect storm and, as a result, it made the final choice pretty straightforward. As things stand, our newly launched Munich studio -- branded Bulkhead Darkhorse -- will spend the bulk (pun intended) of its time after Battalion 1944's full launch working on a brand new shooter, while our original Derby base -- now Bulkhead Phoenix -- will soon start work on a new, yet to be announced project. Over the past few months, however, the launch of Bulkhead Darkhorse has become far more valuable for us than we ever imagined. As part of our expansion, we encountered an incredibly talented Unreal Engine 4 programmer from Belgium who loved the games we're working on. However, after multiple positive interviews and tests, they decided there was too much uncertainty about the possible future in the UK thanks to Brexit to set up with us in Derby. This proved to be a huge moment for us. 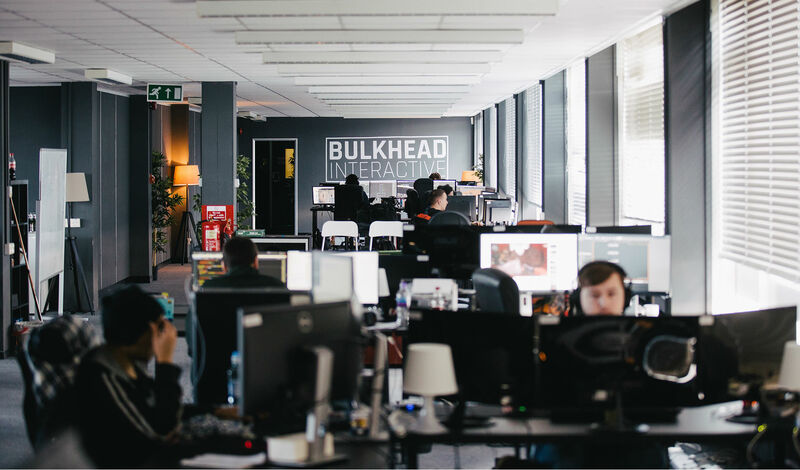 Bulkhead is in the middle of a crucial period of growth having just unveiled an investment by Square Enix (and a new game we're creating that will serve as a new Square Enix IP), and as a result it's vital that we hire the right talent. Even with some established games behind us, it's worth noting that it's hard for a small team such as ours to find the best people in the way bigger companies do. "An important factor in our expansion strategy was accessing top talent in Europe"
The big question, therefore, is how do studios like Bulkhead contend with the Brexit-created risk of losing vital talent? We found a solution. Whether Brexit ends in a deal or no deal at all, if you're a developer looking to hire new talent in the coming year or two, think carefully about starting up a small studio within the EU to ensure that your talent pool doesn't shrink artificially. We are a proud British company, but it was time for us to expand, and an important factor in our expansion strategy was accessing top talent in Europe. Sadly, we just never expected it to work in our favour so quickly. The aforementioned Belgian Unreal Engine 4 master opted to join us in Munich rather than Derby, avoiding any potential issues raised by a car-crash Brexit, instead settling down in the relative stability of Germany. Games Bavaria, or your local industry body, won't have a wealth of experience in European Tax law. However, they will know the government bodies responsible for bringing businesses over to their region. In our case, Games Bavaria was used to relocating the automotive industry, but most of the tax process is the same. Meeting with the Bavarian government was nothing like turning up at the Derby City Council House. "Remember, you are creating jobs, and that's what every government wants"
I'm guessing this is your plan anyway, but hiring someone who speaks the language and knows the lingo is incredibly useful. It doesn't need to be an admin, but just someone who's from the region. It makes things like reading your post a lot easier. Don't expect everything to be the same -- this has many upsides. Again, speaking to the local government business liaison was incredibly helpful. They put us in touch with our accountant, who has been an invaluable asset for general business operation questions. Initially, things you previously took for granted like ordering new computers can become an obstacle. It tooks three weeks from when we arrived before we were back in the office working again, due to figuring out myriad little logistical issues along the way. It's pretty unreasonable for them to expect you to just grab some office space, sign a five year contract, and make that huge game they're expecting you to make. Ask them to find you somewhere to work for three months or so -- something we just referred to this as homebase. Getting our homebase meant we could get all the little things going, while big decisions like finding a suitable office space could be pushed back. Remember, you are creating jobs, and that's what every government wants. If they aren't helping you out with, then maybe you're going to the wrong place. "We're never going to let artificial borders restrict our access to the people who want to work on our games"
For us, the hardest part wasn't the business side, it was helping our people find permanent accommodation in one of Europe's most sought after cities. For the first two weeks we were either 45 minutes early or 45 minutes late because we were still figuring out public transport, etc. In those early days we just relaxed, didn't demand much of people, and as a result we saw that they just wanted to help the new studio get up and running. Ultimately, the strategy behind expanding the Bulkhead Interactive Group enabled us to have two studios working on multiple projects. We now have Bulkhead Phoenix in the UK and Bulkhead Darkhorse in Germany, and this strategy paid off within just a couple of months. In the end, talent is the most important thing to Bulkhead, and we're never going to let artificial borders restrict our access to the people who want to work on our games. Being on the same land mass as the rest of Europe has improved our chances of accessing not just German talent, but talent from the rest of Europe. It will help to secure Bulkhead's future whatever Britain decides to do with its own.